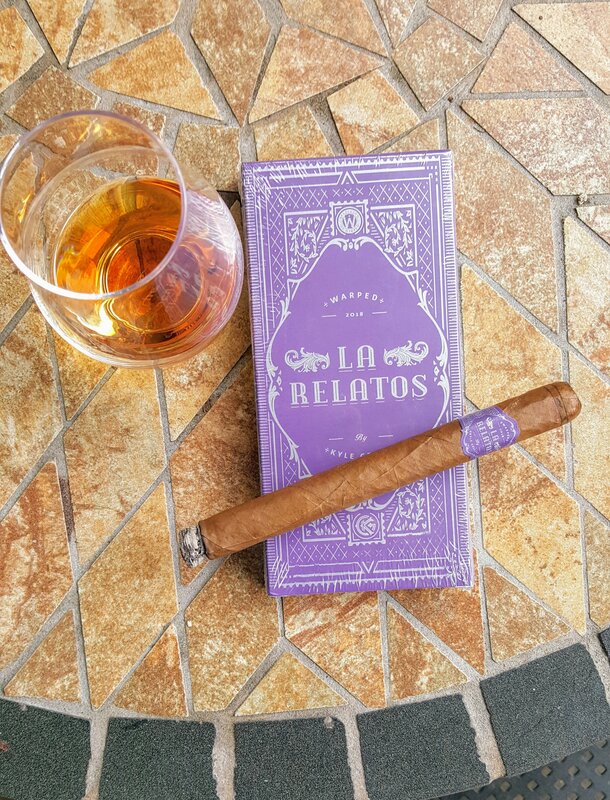 Cigar aficionado says a re-intro of a blend from 2008. 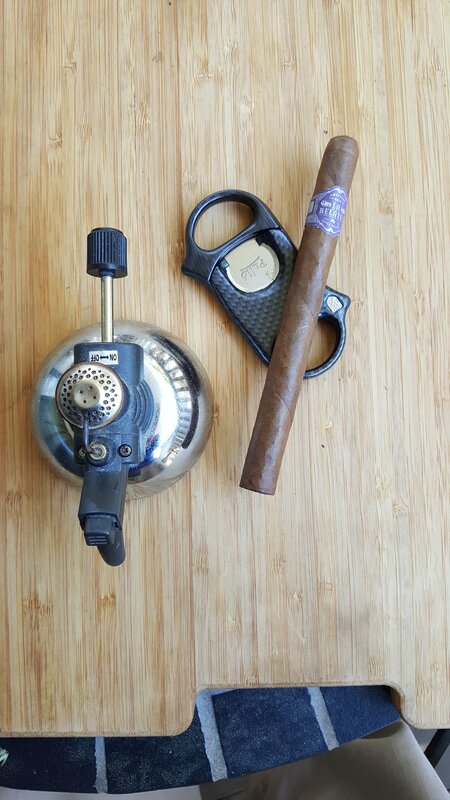 The vitola here is something between a corona and a lancero at 6.25″ x 38. Construction: Smooth wrapper, no visible veins, medium brown, evenly packed. I’ve smoked through five of these now, all very consistent. After cut the draw is medium though a few sticks are a little on the hard side of medium. I had to make a few minor corrections while smoking one or two, but mostly burn stays pretty level all the way down. Smoke output is excellent. Cold smell: Mild barnyard, some hay. Flavors: Lovely wood, caramel, melba toast on rich sweet retrohale, little pepper, heady… Wintergreen/peppermint when paired with rum. Very smooth, light on pepper in the first half. Later, still sweet. Little more pepper, cedar and melba toast on retrohale. There is but a little pepper on these, even the retrohale is smooth. There isn’t a lot of transition in flavors from one part of the cigar to the next, but all along the sweet woods, toast, and sometimes tea and leather all make their presence known. Smoke time goes about an hour and fifteen minutes, a slow and very evenly smoking cigar. This is a very smooth cigar over all, well constructed and tasty all the way down to the last half inch. I got these with a discount (cigarandpipes.com get on their mailing list) for about $6.25/stick, their retail price is something closer to $8. But even at that this is an excellent cigar. Warped has another winner here.